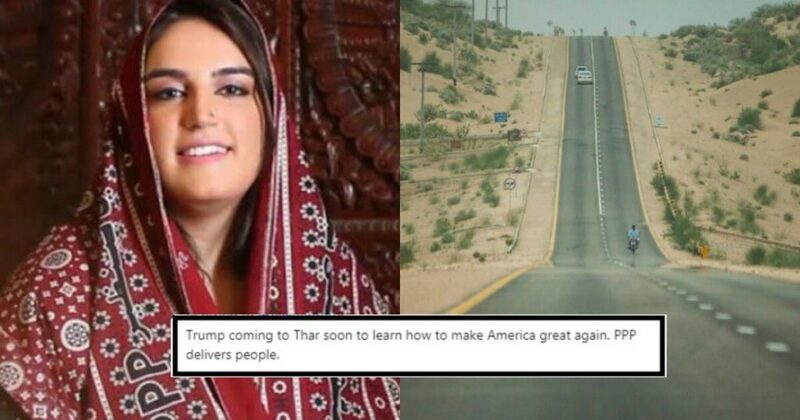 Bakhtawar Bhutto Boasted About A Road PPP Made In Thar And Pakistanis Are Showing Her The Reality Of Sindh! The year 2019 has come up with ’10 year challenge’ and just in a few hours, this trend has become viral. Not only the celebrities but common people from all over the world are also sharing their pictures, one from 2009 and other from 2019 to show how much they have been changed in the past 10 years. Following the trend, Bakhtawar Bhutto Zardari shared a picture from her Twitter account as well which shows how Thar has been changed. One of the twenty-nine districts of Sindh and the arid desert of Pakistan, Tharparkar has come to the news always for rising in the children death rate or drought. As soon as Bakhtwar Bhutto shared some of the lastest clicks from this neglected region of Sindh, people especially Youthiye of PTI trolled her for sharing pictures of a road in California! Here Is What Bakhtawar Bhutto Has Written In Her Tweet! And Social Media Users Asked Bakhtwar Bhutto To Use Google Before Sharing It! 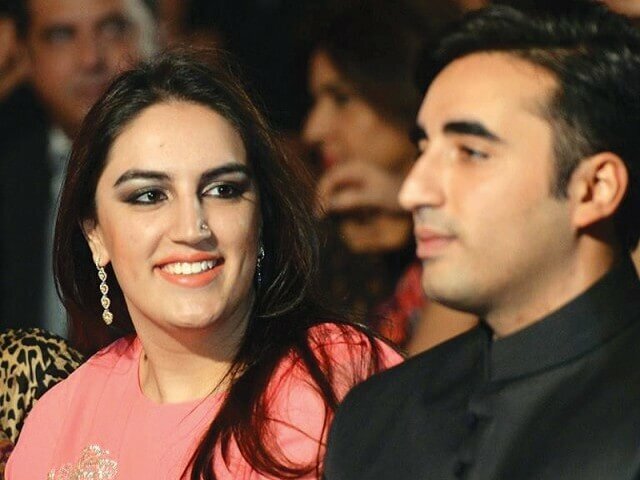 Bakhtwar Bhutto Zardari Shared A Few More Pictures To Prove Her Stance! But The Keyboard Warriors Are Everywhere! Mam i lived in that region. Visiting again next month for detailed Vblogging and showing ur amazing performance. If u show u schools in sindh and also other familities – they r worse than any poor african country. Madam g you should focus on basics. Infrastructure comes after that. People Reminded Bakhtawar Bhutto Of Some Real Issues! There Are PPP Supporters Too! So It Is Real Thar, Not California! Chief Minister Sindh Murad Ali Shah has ordered the Deputy Commissioner Thar to submit the daily report on relief work, health services in the area. In DC’s recent report, it has been said that out of 192 children, 5 infants who were prematurely born with low weight couldn’t survive. Sindh Government has declared Thar a drought-stricken area where relief activities have been conducted to reduce the effects of drought in the area. It is good to see that PPP’s Government is working on the infrastructure of the region, as Bakhtawar said in her tweet (whether it is real or fake). But people think it is the high time for their government to work for the combatting drought first.